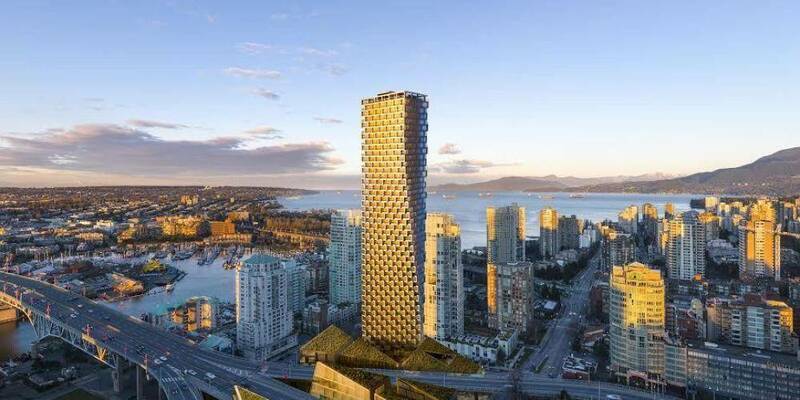 One of the most talked about luxury condo developments as of late and Vancouver’s 4th tallest tower. 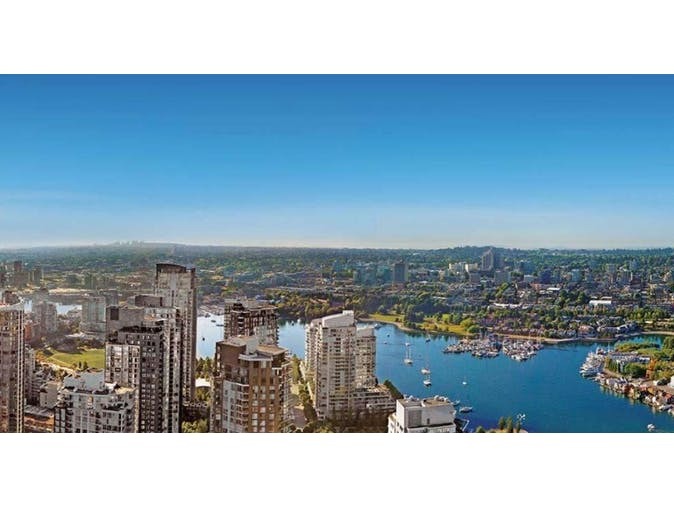 The Vancouver House on Howe has a penthouse pre-sale already on the market and this is one condo you’re going to want to have. 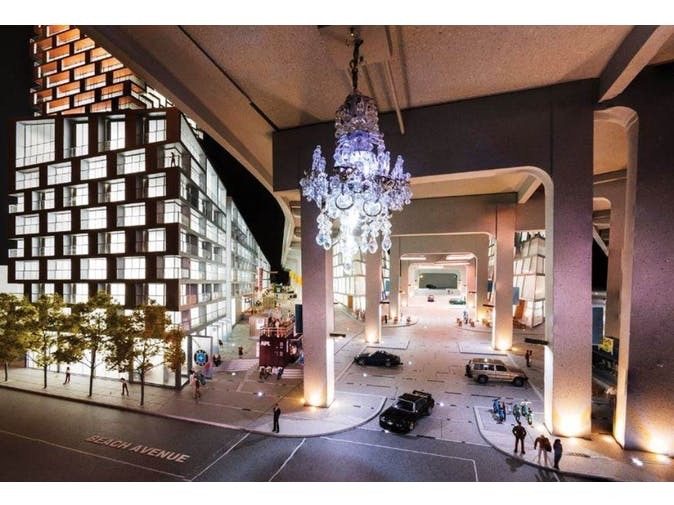 This development is unlike anything built so far in the city and offers architect lovers a chance to own something special. Set to be finished this year you’ll be able to live in a unit that will have some of the best views money can buy in Vancouver. PH9 comes with two bedrooms and three bath across 1,879 square feet of luxury living space. I lived down the street for nearly decade on the 26th floor and I attest to the beauty of this view. You will never get a better view of the sunset here. The entire building however is what makes this development on another level. Along with a stunning penthouse, in this building you’ll find a concierge staff trained and managed by the Fairmont Pacific Rim team. There is also basically an art gallery for a front lobby, an incredible wellness centre and access to a fleet of BMW’s for residents to use. The building was designed by Bjarke Ingels Group Architects out of Rotterdam and it’s really a work of art. Vancouver House is designed to be amongst the world’s first LEED Platinum-certified high rise residential towers, upon its completion. 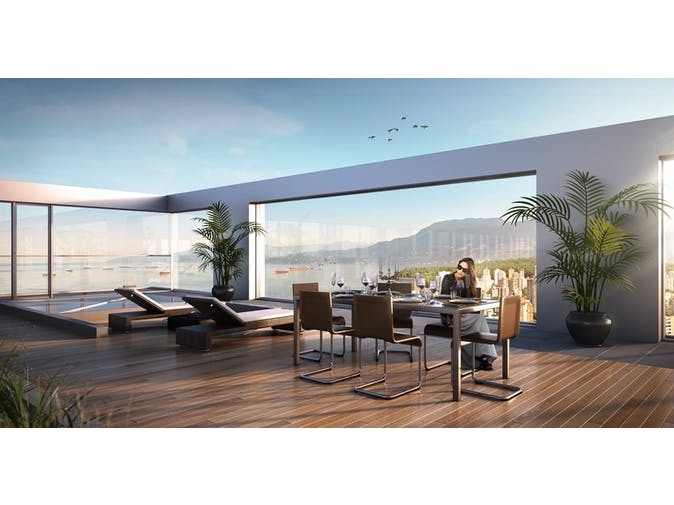 This Vancouver House penthouse number nine is listed for $6,888,000 CAD with Virani Real Estate Advisors who can be reached at 604.913.1000 to learn more.